Giraffes at Union Pool July 25th. 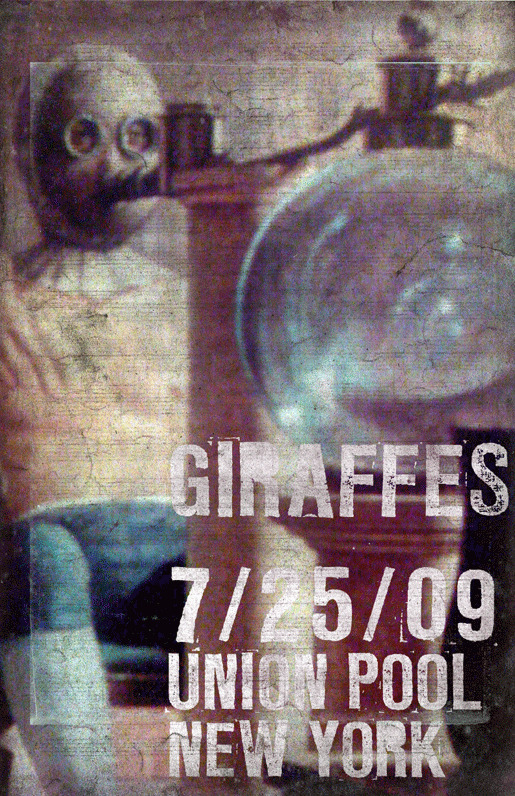 - TMRnyc - Total Metal Resource, Inc.
Giraffes at Union Pool July 25th. Nothing better than doing metalwork with the Giraffes blasting through the speakers. Oh, Except seeing them live this Saturday with a bottle of Jamesons. Get there early… Stand up front.